What Car Do You Want To Buy In 2018? 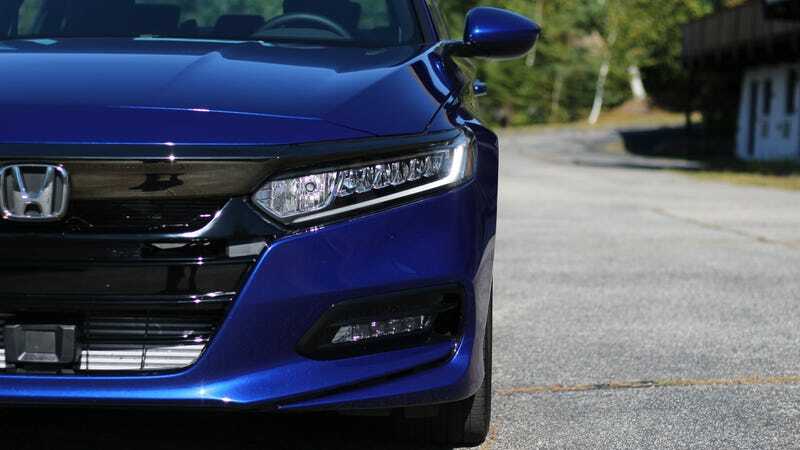 I didn’t ever think I’d get to the point where I’d consider buying a new Honda Accord, but the newest model seriously changed my opinion this year. Maybe I’m becoming more mature, maybe the car is actually really good, or perhaps a combination of the two. In any case, the new Accord Sport 2-liter turbo with a 6-speed manual was impressive, and I actually want to buy one in 2018. My tastes tend to change with each passing day, but the Accord has really stuck with me as a great car to buy next year for our ‘normal car’ needs. Though, I really like the idea of a Chevrolet Volt, too. 2017 is coming to a close, and that’s a relief, because now we can focus on cars we want to buy in the new year. Maybe you aren’t looking for a new car, maybe you want a sensible used car like Alex’s Honda Civic, or perhaps you’re looking for something quirky and fun like Jason’s Nissan Pao. Do you like vintage cars? What cool old sports car, muscle car, truck or whatever do you plan to buy in the coming 12 months? How Much More Would You Pay To Get The Color You Want On Your Car? What&apos;s The Most You&apos;ve Put Yourself Through For A Car?